MenShoeNet: USA "Official Site" Designer Dress Casual Fashion Shoes Free Ship! Feel free to browse around this site. If you have comments or questions about our products and services, or simply need more information and want to contact us immediately, call us by phone at 1.800.919.3395 Monday thru Friday 10:30 A.M. to 6:00 P.M., Saturday Until 4:30 P.M. central standard time. 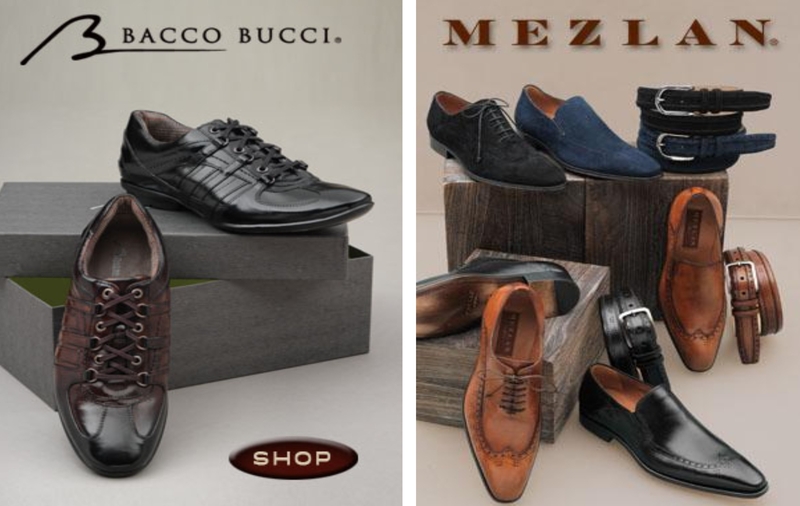 Also find at MensShoeNet thousands of famous footwesr shoe style names like Spectator, Spats, Alligator Shoes, Crocodile Shoes, Ostrich Shoes, Snake Skin Shoes, Lizard Shoes, Dotto, Bene, Belvedere Zeno, Coppola, Giotto, Cameron, Ellington, Belvedere Dino, Manning, Squall, Exeter, Bass Leavitt Logan Penny Loafer, Layton, Larson, Napoli, Palma, Pasta, Bostonian Andover, Evanston, Clinton, Cole Haan Pinch Penny. Malden Wingtip, Hallux, Fabia, Prescott, Reno, Clarks Wallabees, Trek, Tracker, Un Bend, Stacy Adams Madison, Florsheim Riva, Rodeo, Mezlan Santander, Tyson Cap Toe, Astride, World Tour, Ellingwood, Margin, Northfield, Prowalker, Rockport Perth, Camp Moc, Dayton, Alberto, Bruno, Santana and Nunn Bush Bentley shoes. Sandals, Shoe Polish, Cedar Shoe Trees, Toe Rubbers, Replacement Tassels and Belts.